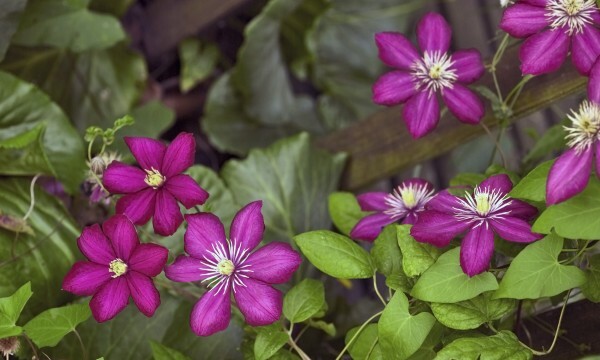 Boasting some of the most beautiful flowers of any vine, clematis produces abundant blossoms in a range of colours that include blue, purple, red, pink, yellow and white. Having trouble deciding which type to plant? Here's some help so that you can customize your garden perfectly. Named for their grape-like clusters of tiny urn-shaped blossoms, grape hyacinths are adaptable, hardy, virtually care-free little plants that grow almost anywhere in the garden in the springtime. 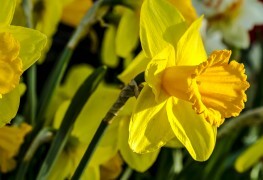 Daffodils are versatile bulbs, as comfortable in formal landscapes as in meadows or open woodlands. Follow these tips to grow healthier and more colourful daffodils in your garden. Discover germanders and grow one! The word "germander" is a distortion of chamaedrys, whose Greek roots arechamai "soil" and drus "oak tree" because its leaves resemble the leaves of an oak tree. Discover this fascinating plant in brief. 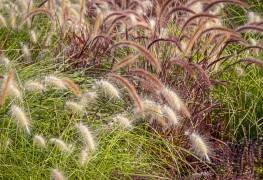 Ever wanted to grow ornamental grass that comes back year after year, looking stunning each time? Here's 5 lush variations to try! 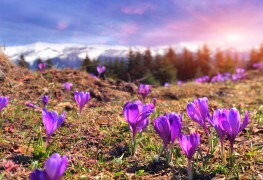 Ultimately, flower bulbs are the key to a beautiful garden. 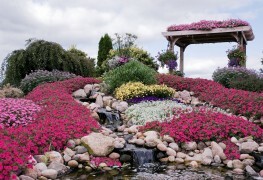 Following these five tips should help you get stunning blooms year after year. 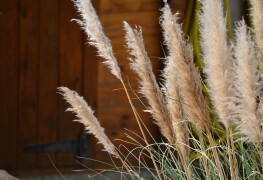 Ornamental grasses are fairly low maintenance, but there are a few steps a gardener can take to ensure that they flourish from year to year. As a native of Mexico, the dahlia is a subtropical plant that needs humus-rich soil, constant watering, and regular feeding. 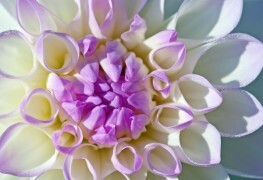 Given those things, the dahlia will delight you with its texture and layers if you follow these tips. 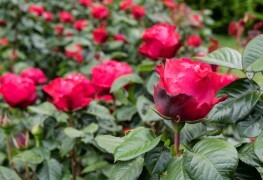 Roses need quality pruning to help them grow their famously beautiful flowers. Here are a few pruning tips to encourage your roses to look their absolute best. 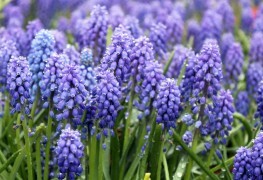 They may not have the best-sounding name, but squill bulbs are the perfect choice if true blue colour appeals to you. 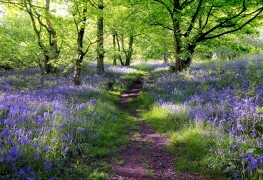 Here's just a few reasons that these beautiful and hardy plants are popular amongst gardeners. 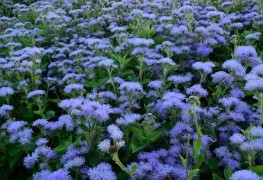 Once only known for their blue flowers, ageratum has recently expanded out in terms of colour. 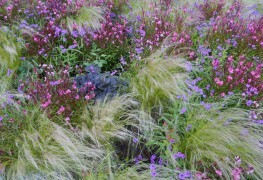 Here's some ways to help your plants grow and flourish, no matter what colour you choose. 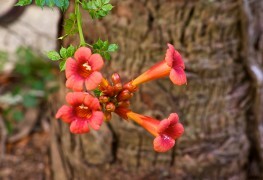 Trumpet vine willingly covers everything from stumps to brick walls with beautiful flowers. For better-looking vines, follow these suggestions. 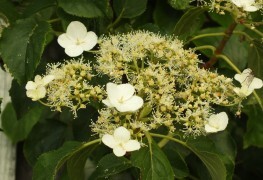 If you have some shady spots and limited time, you'll love the care-free loveliness climbing hydrangeas. 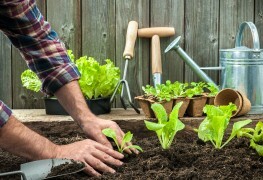 With these seven simple tips, you could have a healthy vine growing in your garden. 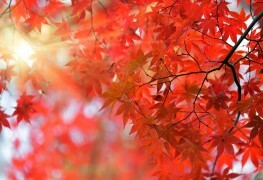 Delicate in appearance and artistic in habit, Japanese maples offer a range of attractive features for the landscape. Most have smooth, grayish brown bark and branches that naturally form graceful layers or interesting, contorted shapes. 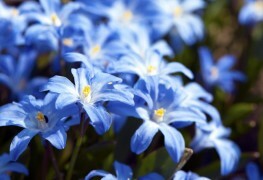 When planted in the right spot, primroses are easy to grow. 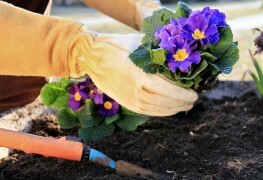 Use these tips to help your primroses reach their full potential.